Yesterday we drove down to the coast to the town of Viareggio. It was an easy drive through Lucca and then on to the autostrade A11 to the coast. It only took us an hour to get there. 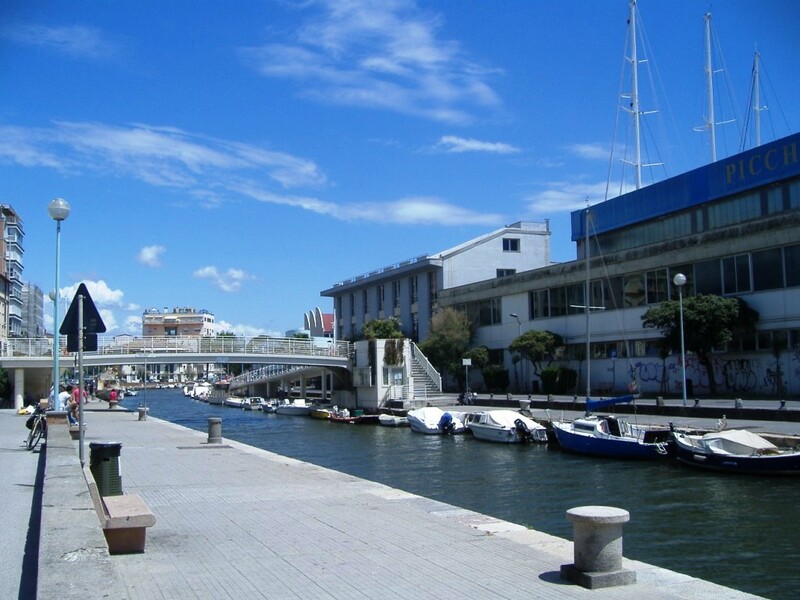 Viareggio is a city and commune in northern Tuscany on the coast of the Tyrrhenian Sea and is the second largest city after Lucca in the province of Lucca. 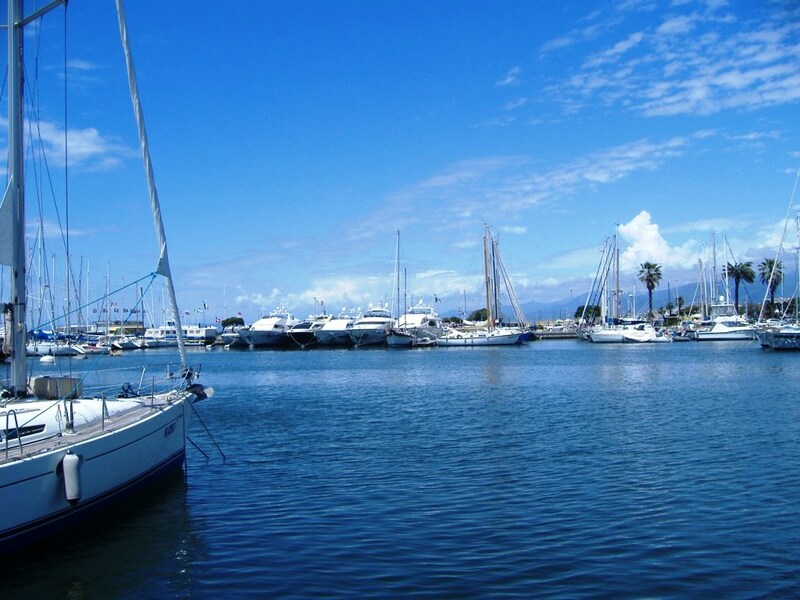 Viareggio began as a medieval fishing village, then later gained renown for its shipbuilding. In the mid-19th century, the town was developed as a seaside resort, which it’s been ever since. 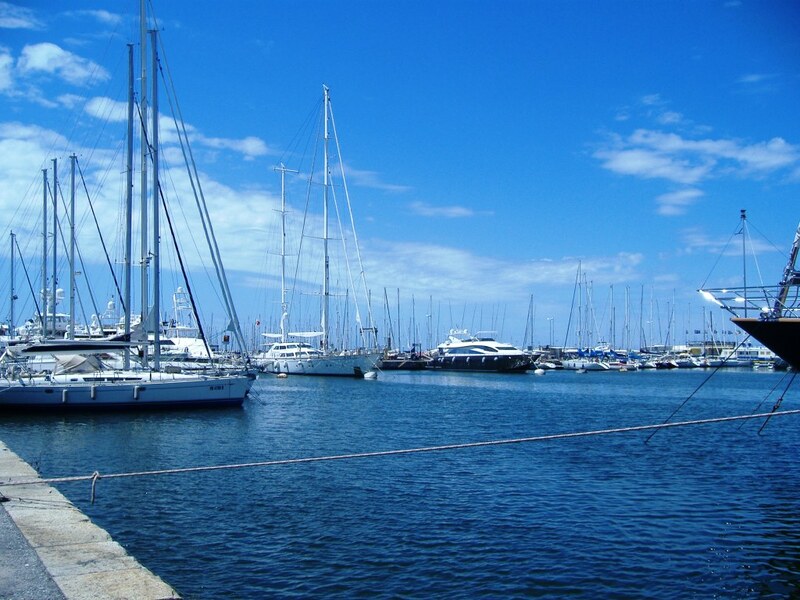 Today, the city is loved for its long beaches, pine woods, great shopping and lively nightlife. We arrived to the most magnificent weather and everything looked wonderful. I must say though, for us Aussies, it is so different to our beaches and resorts back home. You could see that everything was being set up and prepared for summer which is just around the corner. There was not much open so we walked around and explored. We eventually found a restaurant open and stopped for our morning coffee. The restaurant was owned by a delightful mother and daughter. The décor inside was stunning. After our coffee we just walked and walked along the very long promenade. It is a very wide promenade ideal for bike riding, dog walking or just walking. Along the way we passed many beautiful hotels. The marina was full of boats. Some of them so big I cannot imagine how they would get them out. There are many huge ship building companies with many beautiful boats. We wandered around the marina looking at these gorgeous boats and of course taking photos. We found a restaurant near the marina on the resort side of the canal for lunch but would suggest restaurants further down the promenade towards the resorts. The lunch was OK but very touristy and presented on plastic plates. 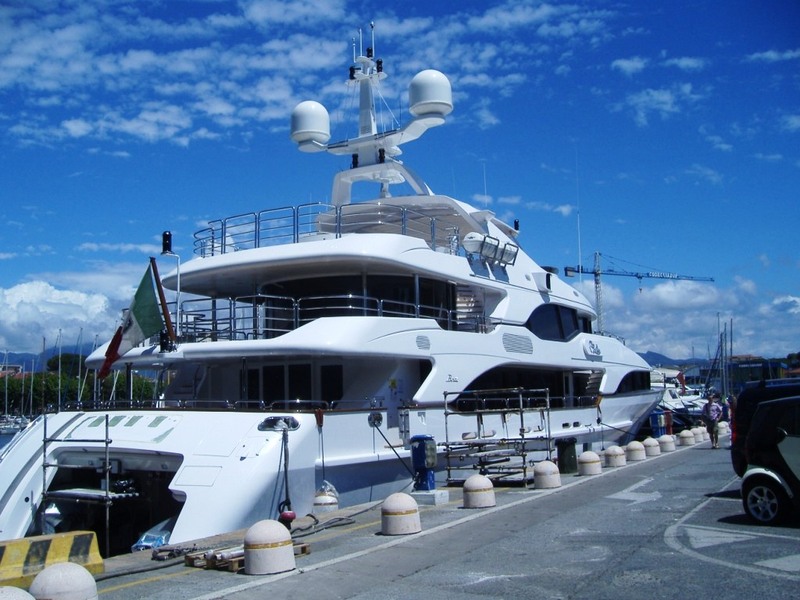 From Viareggio we drove the 7 kilometers to Forte dei Marmi, and then to Pietrosanta. We had some fabulous experiences in Pietrosanta. I will tell you about them in another post. Beach resort looks so modern compared to the other town centers that you’ve been to. Beautiful! Yes Linda, so very beautiful. Different to what we have back​ in Aus. It looks so beautiful and modern, I never knew the it existed. How lovely. Great! Not many people around? That makes it even better! I was lost in all the beautiful blues! The gorgeous blue skies, the water, it looks lovely! i hope you have a wonderful trip! Lyn, I just love harbors with white boats and a wide promanade! That blue mansion is gorgeous. Thanks for the presentation, it seems like a wonderful coastal town to visit.